First of all, wood burning stoves, as the name suggests, can only burn wood logs. Wood burns better and more consistently on a flat bed of ash and draws air in from above to help it combust, so wood burning stoves have no grate, just a flat surface for the wood to sit on. Wood burning stoves can give out a less consistent heat and aren’t ideal for overnight burn, but they create the best flames. If you feel you will want to predominantly burn wood and not a great deal of smokeless coal, then a woodburning only unit may be the best option for you. If you only plan on burning smokeless coal on the odd occasion having a multi-fuel grate permanently in place will reduce the efficiency on the wood that you will be burning the majority of the time. Multi-fuel stoves can burn a variety of different fuel types such as peat or turf briquettes, smokeless coal, anthracite, and wood logs. 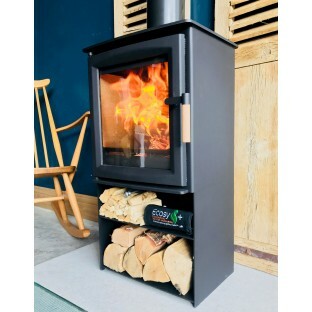 Although you can only use “smokeless” fuels, you still have more options than with the woodburner, and this makes the multi-fuel stove more versatile. Multi-fuel stoves have a raised grate at the bottom raised off the ground that lets the air circulate underneath the fuel, and allows you to burn coal and other fuel types. Unlike wood, smokeless fuels require lots of air underneath to get and keep them alight. The ash from multi-fuel stoves falls through the riddling grate and into an ashpan below, and it must be emptied often to prevent the ash building up and stopping air flow. If you’re mostly going to be burning wood then using a multi-fuel stove is much less efficient because the wood won't burn as well on a grate, but you do have a lot more choice when it comes to fuel. If you do have a multi-fuel stove and feel you are mainly burning wood you can allow the ash to build up on the grate, creating a bed for the wood to burn on. If you plan on burning both together, we would suggest using kiln dried log with a very low moisture content. There are some important things you should bear in mind when looking for the right stove for you depending on where you live. 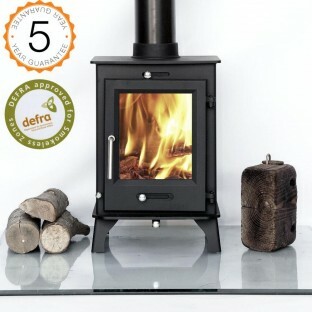 If you live in a smoke controlled area (generally in towns and cities) then you need your stove to be DEFRA approved if you want to burn wood. If you want to use a non-DEFRA stove in a smoke controlled area then you can use approved “smokeless” coal and other fuels. 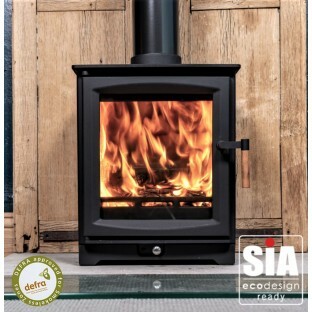 Wood burning stoves are considered more environmentally friendly, as burning wood is a carbon neutral form of energy. Burning logs releases around the same amount of carbon dioxide as the tree absorbs while growing, whereas coal, even the smokeless variety, is a fossil fuel and burning it increases atmospheric CO2. 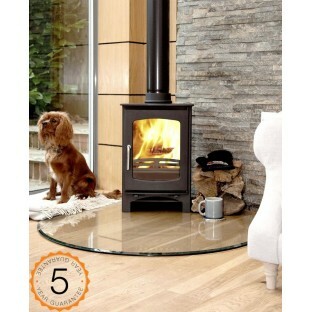 Both wood burning and multi-fuel stoves have a similar output and efficiency, and are usually similar in price too. Really, there is no one stove that’s better than the other, so when making your decision you should think about what’s important to you. If you’re having trouble deciding, make sure that the specification is what you need. One of our advisers - or your stove fitter - can advise you on the kilowatt output you need and the position and size of the flue outlets. When that is decided, look at both types of stove, and make a choice based on the style, output, dimensions and the size of the glass.